Hundreds of transparent boxes are piled up against the wall, with simulated wild environments. The residents of those cubical rooms have watched the day and night of the painting workshop, ARTTRA, for seven years. The vivarium belongs to a painter, Herman Chan, 41, who has over 100 reptiles from about 50 species. “Maybe you can not find a second painting workshop with so many reptiles in Hong Kong,” he says. Chan’s pets attract people who learn painting in a way of improving their ability of observation. Reptile knowledge is a bonus for curious students. Chan says he collects and breeds various species of reptiles on purpose. “I enjoy taking care of them technically,” he says. The first reptile owned by Chan was a salamander when he was in the primary school. Since then he has never stopped. Chan used to raise his reptiles at home, afraid of customers’ resistance against them. He says he hopes to stay with them more, not only the time after work. Not until he took a chameleon to the studio did he find the charisma of his pets. 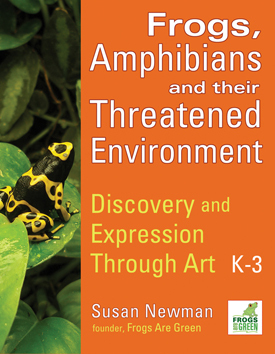 Children are really into it and inspired to watch the detailed of the animal, Chan says. Meanwhile Chan tells them chameleons change color due to the temperature, humidity or light, not the background colors thought by many people. Chan Tsz Yin Andrea, 5 yrs old, Hong Kong, Arttra. 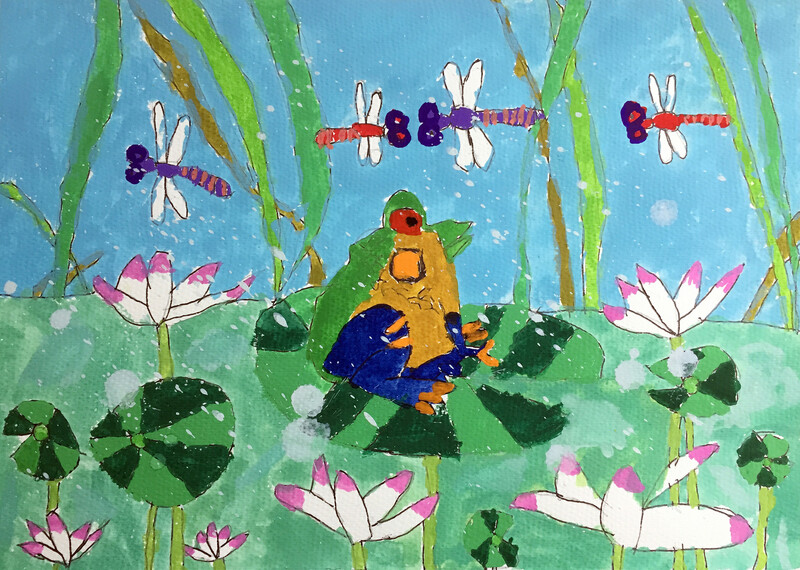 With the Frogs Are Green annual children’s art contest deadline approaching, you can see how engaged the young students are by learning about amphibians and reptiles, seeing them up close, and then expressing themselves through art. I’m thrilled that Herman’s students entered our annual contest! This blog was originally posted on https://lanlianchao.wordpress.com Frogs Are Green has permission to repost it.